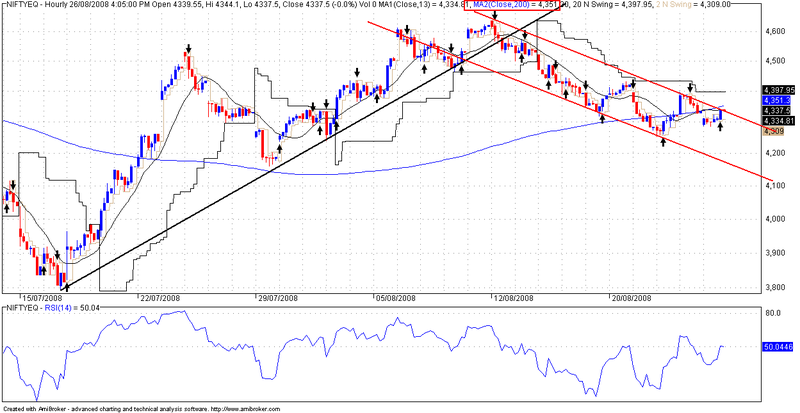 Nifty nearing 200 MA(4351) – Check the blue line – which currently act as a strong resistance. I we are able to cross on closing basis then chance of a new uptrend. Else to see 4159-4200 levels. MCX Copper and MCX Crude Oil Hourly Chart for 7th July 2011 The MCX Copper is expected to shine bright. As per our Ichimoku Cloud Trading System, MCX copper is still in buy mode with support coming around Rs.425.